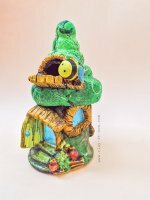 Clay coloring technique is one of basic skills that I would like to share with all clay lovers especially if you just started into this craft. First of all, you might want to check on your material first. 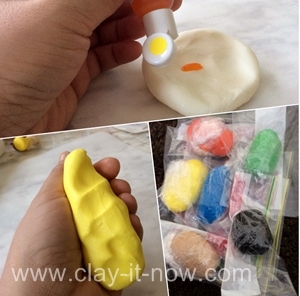 Did you make your own clay following one of our modeling clay recipes? Alright! I am assuming that you are going to make your own clay. If that so, you can mix the liquid (water or glue) used to make your clay with color. It could be food colors or non-toxic acrylic / watercolor paints. By doing this you'll have even color but you have less flexibility in term of the quantity because you'll only have 1 color in one batch. 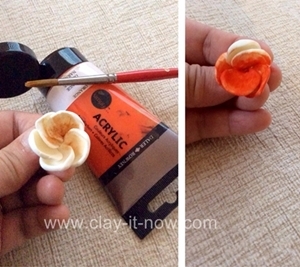 I would prefer to make white clay and then add the color onto it in smaller quantity as you can see below. I'd like to recommend you to make 3 basic colors, red, yellow and blue. Plus black color. With this 3 basic colors you can create myriad of colors. 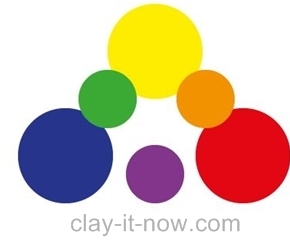 For example, if you mix yellow and blue, you'll have green clay color. 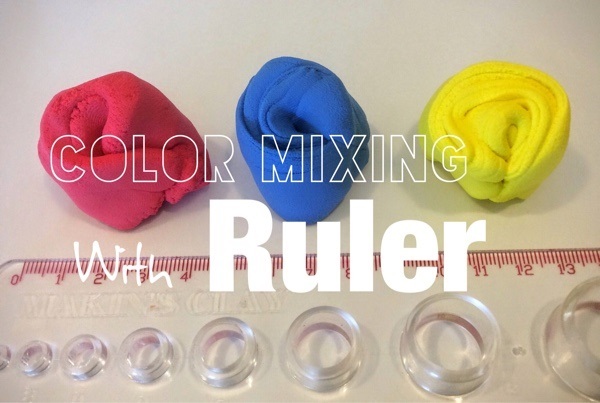 You'll have purple color by mixing red and blue and orange color by mixing red and yellow. You can also mix purple with yellow or green with yellow, and so on. But, if you have different amount of each clay color when mixing it, you'll have different shade of colors. Let's say you make a figurine with the color mixed from several primary colors and someone like it or you want to make it again, it would be difficult if we don't have the tool to measure the clay, isn't it? So, how to duplicate the colors? Now, I can almost get similar color mix when I try to duplicate certain shade but of course sometimes it's not 100% - I could say 95%. It's hand-made anyway so precision is not necessary I think. 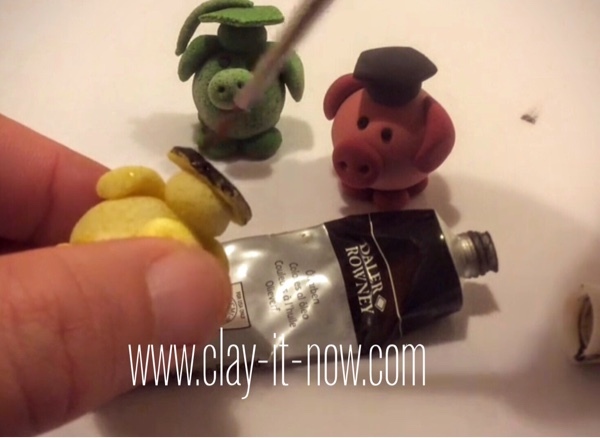 Our next clay coloring technique is about coloring the clay after you've finished with your clay model. It sounds easy, isn't it? Indeed many people like this technique because you can control the color on the clay. It's like painting on the canvas. However, you have to be sure that your clay model has been dried completely. Use good acrylic paints or oil paints. Let the first layer of paint dry before moving to the next layer. 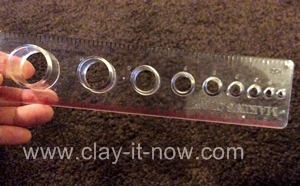 Finally protect your painted clay model by applying a thin layer of clear nail polish. I've found that the ideal type of air dry clay for this technique is either salt dough or no cook playdough. Have fun! Hope you like our clay coloring technique. If you have experience using color mixing ruler or other technique to color the clay, we would love to hear from you. Please share your idea with us at this page.